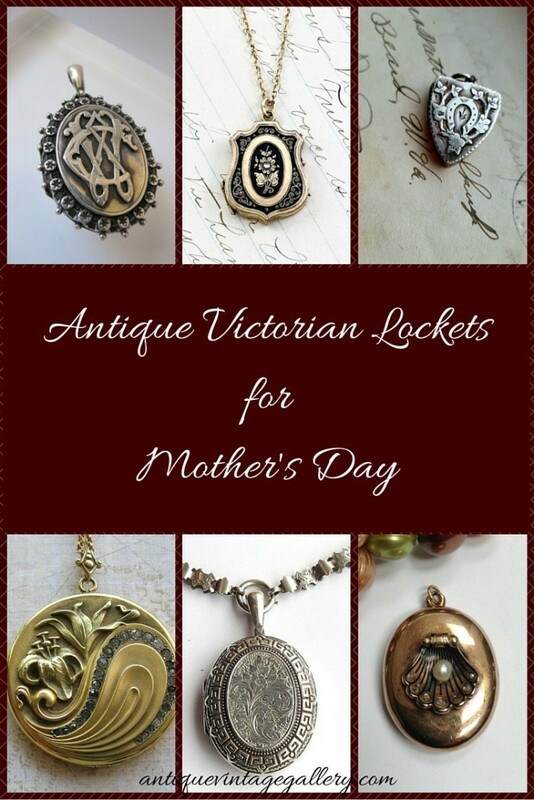 If you are looking for a special gift for Mother's Day, a birthday, Christmas, or an anniversary, one excellent choice is to buy an antique Victorian locket. 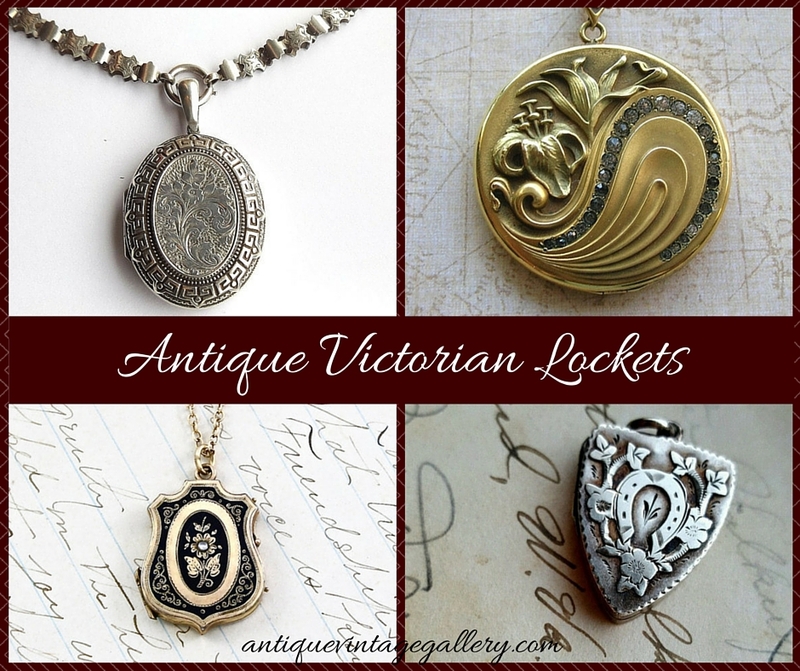 Antique Victorian lockets were made for both men and women, in pendants, brooches, pocket watches, watch fobs, earrings and rings so you can find the appropriate locket for just about anyone, including men. 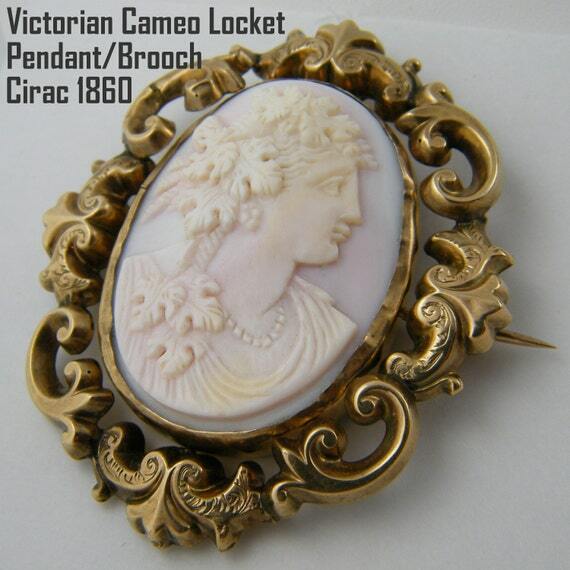 There are several interesting customs that Victorians had relating to lockets, and the most interesting custom is to create mourning lockets that they would put a lock of hair or a picture of the deceased, then wear to honor their memory. 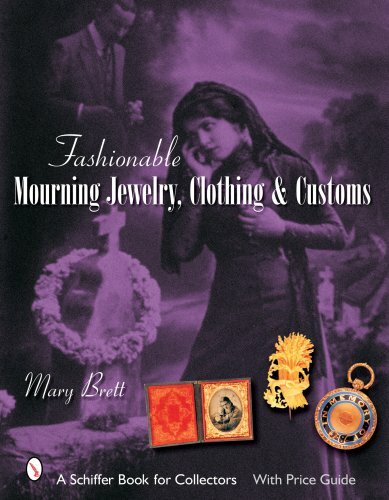 Most of the Victorian mourning lockets are black or decorated in black. 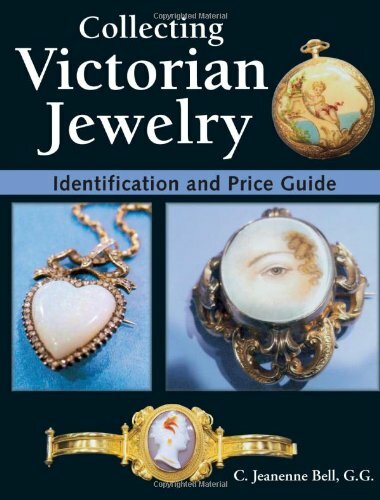 However, Victorians made lockets to hold pictures and notes for many other pieces of jewelry in gold, silver, and platinum, and with many designs including gemstones, filigree, painted, and enamel to decorate the exterior of the locket. 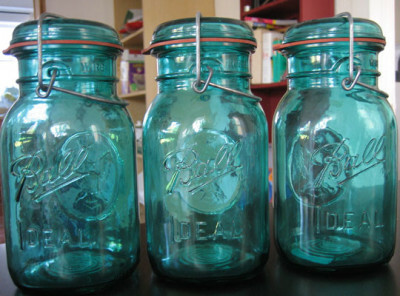 Lockets were generally oval, round, square, rectangular or shaped like books or hearts. 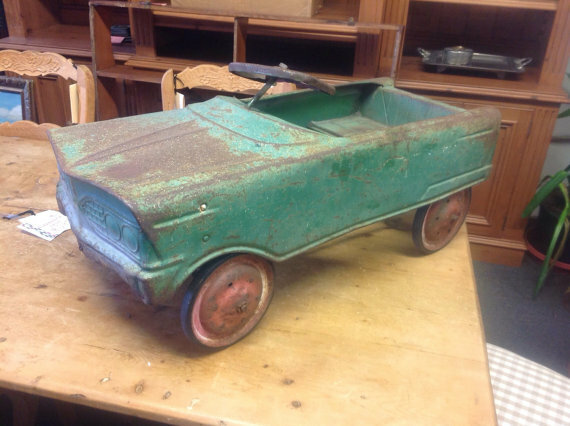 From time to time, they made other shapes as well. 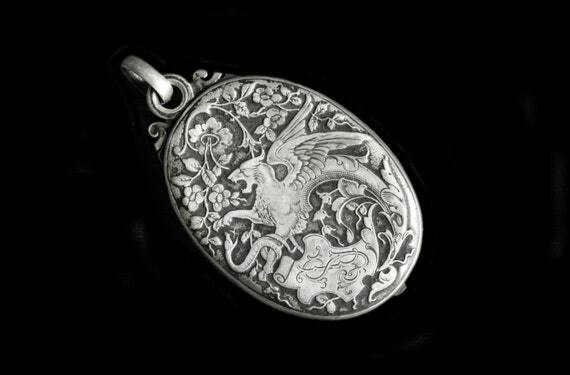 Some lockets were decorated with a person's or a family's crest, more usually lockets made for men or to mourn for men. 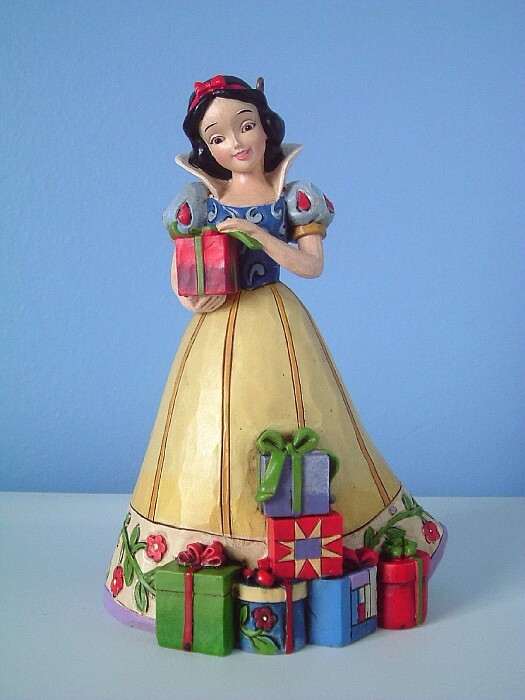 Other common decorations were cameos, portraits, flowers, and filigree designs. 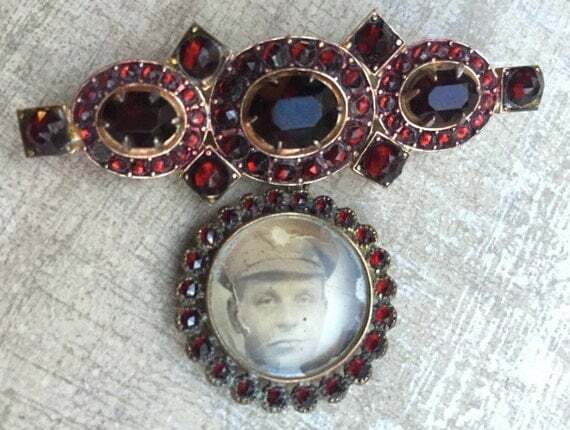 The locket pictured above is a mourning locket which would be worn by family members of someone who died to remember them, and honor their memory. 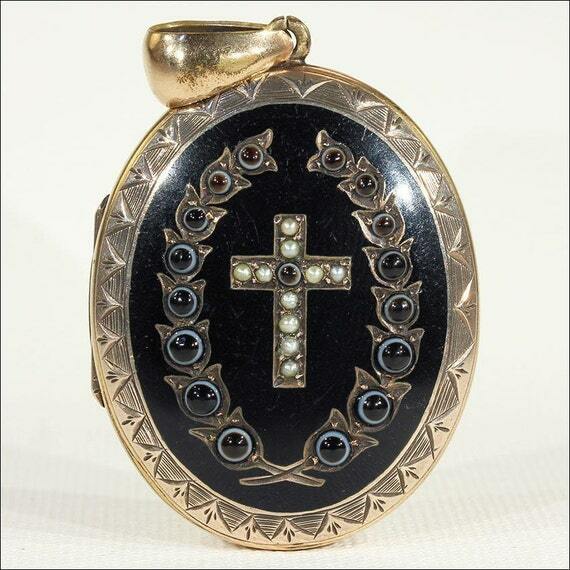 It was common for mourning lockets to have black either painted, or onyx in their design. 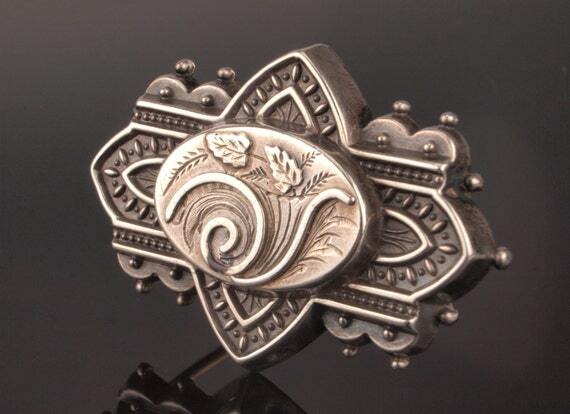 Most lockets designed for women during the Victorian period were made into brooches or pendants, although you can also find rings and earrings. Lockets were made from gold, silver, and platinum for women, and had a lot of beautiful scroll work etched into the surface design. 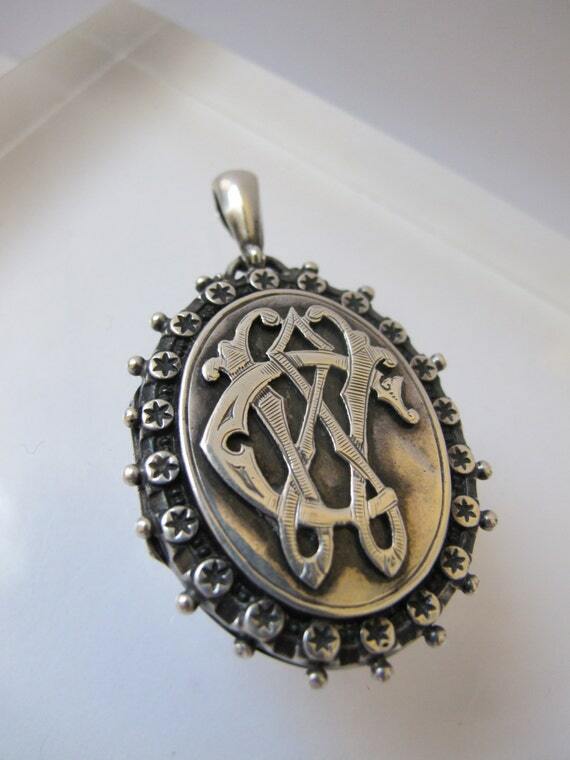 Most lockets opened in half with a clasp to hold a small note or picture, and if a women had a husband or lover, they would place a lock of their loved one's hair in the locket to keep them close. Lockets could also be engraved with initials or other meaningful sayings for women, usually on the back or inside the locket. 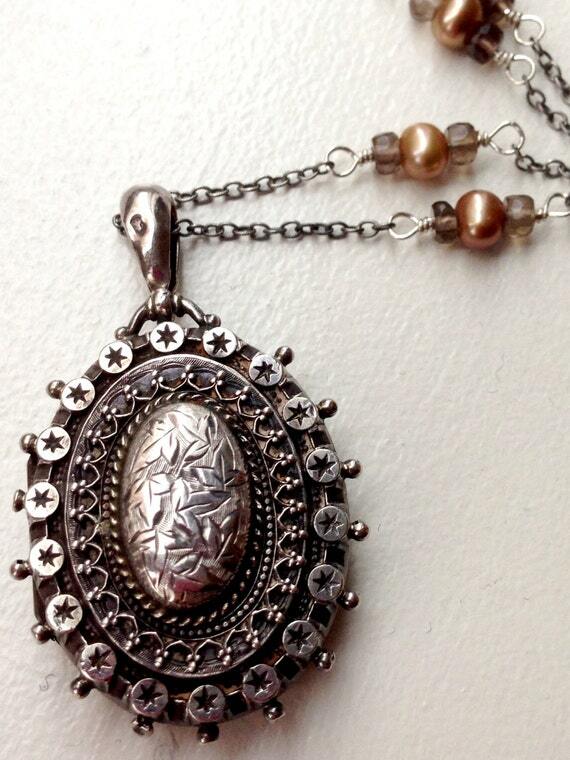 Victorian designs tended to the ornate, so most lockets from that period are somewhat frilly in design. During the Victorian period, men wore jewelry also, and just about every man carried a pocket watch. So men's lockets were made for pocket watches, and also for rings. 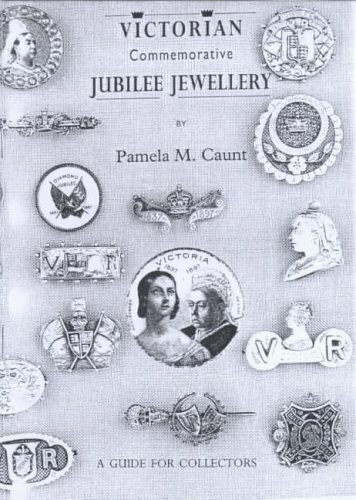 Locket rings were similar to the poison rings of other periods, and for men generally had the family crest or a simple design with a cross or diamond and onyx design. 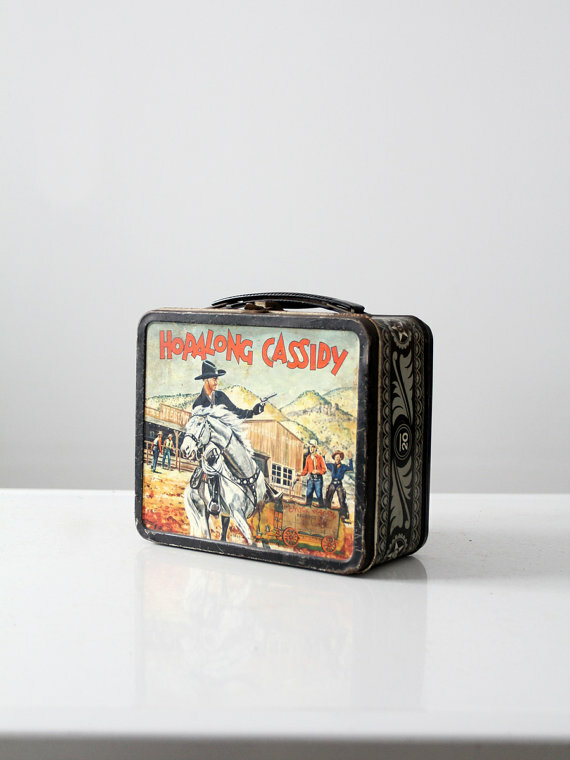 Because the lockets were made by hand, custom designs were very popular, so one of a kind lockets were the norm instead of the exception. Lockets for pocket watches were much larger, usually oval or round in shape, because that was the shape of most pocket watches. The watch would be inside the locket and could be replaced if necessary. Pocket watches were hung from a watch chain that looped around a man's trouser loop. 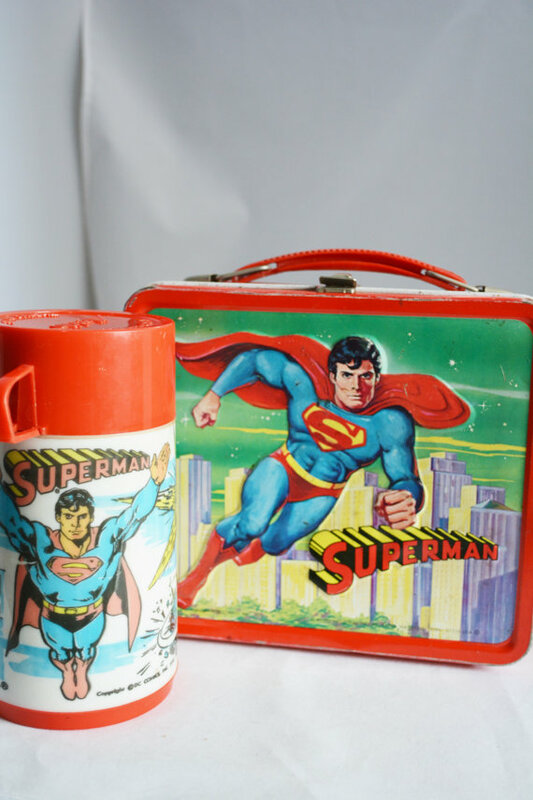 Victorians were interested in classical Greek, Roman, and Etruscan history and designs, and these designs were evident in many Victorian homes, home decor, clothing, and jewelry. So you can find lockets for both men and women that contain elements of all three styles--Greek, Roman, and Etruscan. 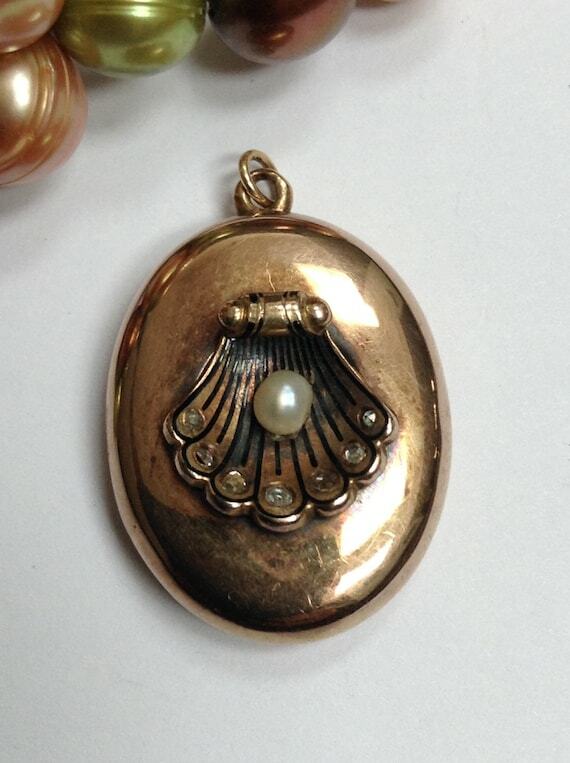 Victorian jewelers added design to the lockets several ways depending on what the lockets were made of. 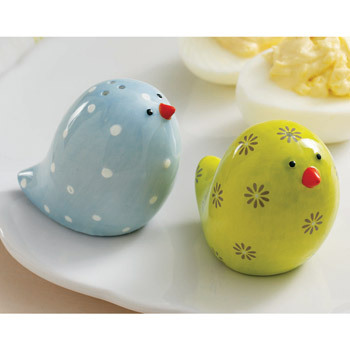 Design could be carved or cast into the mold of the molten metal, etched into metal, or enameled or painted on. 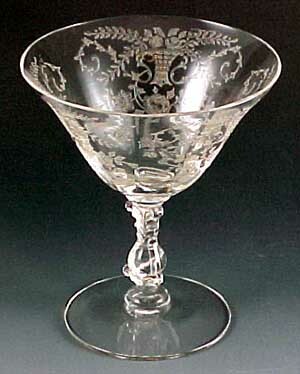 Designs were also made with filigree, and small gemstones. 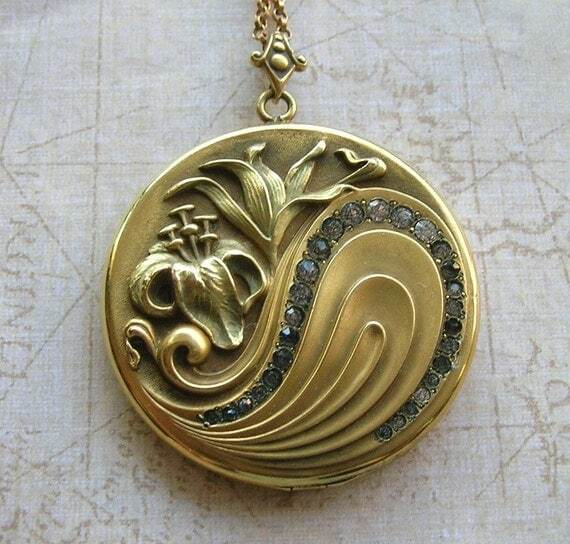 Another common pattern on Victorian lockets for men and women was the Fleur De Lis. Victorian had the fleur de lis shape carved in relief in a cameo form, carved into the stone in an intaglio form, or just painted or enameled on the surface. And once in a while, you will find a locket shaped like a fleur de lis, which is much more rare, and way more difficult to create. 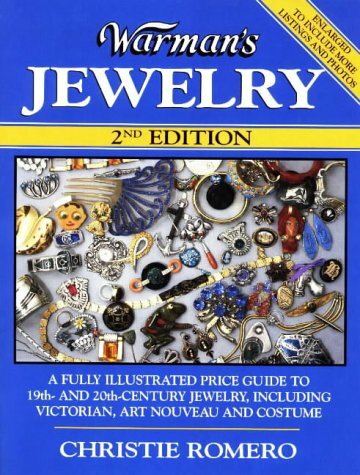 Other common designs were book shaped lockets for necklaces, and watch fob lockets. 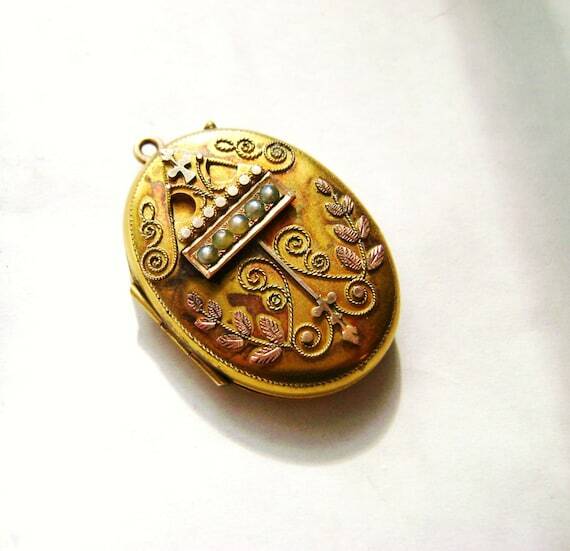 Antique art deco lockets were also popular for a time. 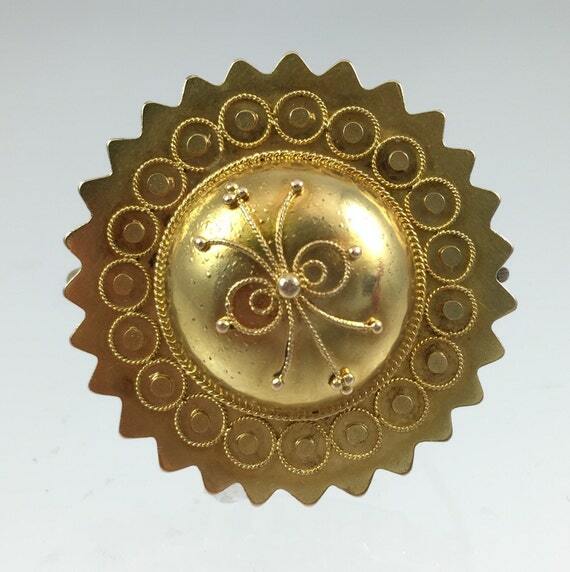 There weren't too many plain designs in Victorian times on any jewelry for men or women. 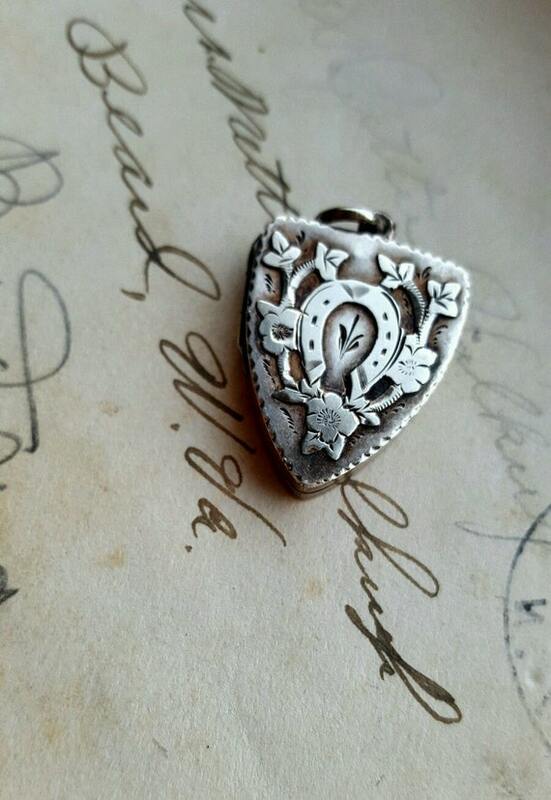 And the ever present heart design was popular in Victorian times as it is now for women's lockets. 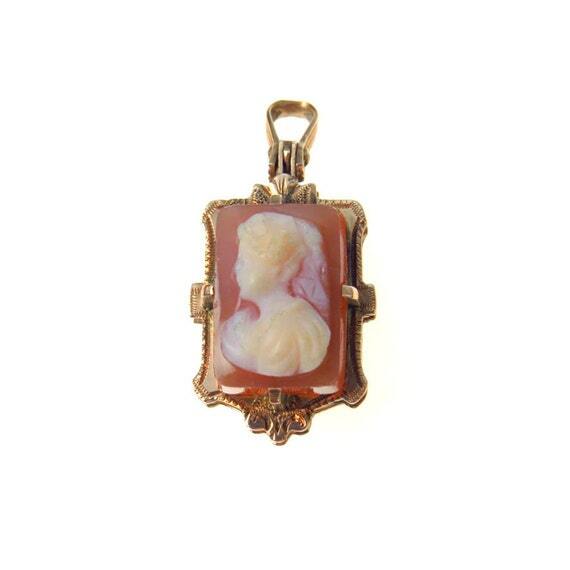 Along with Victorian mourning lockets, Victorian cameo lockets were a favorite custom. 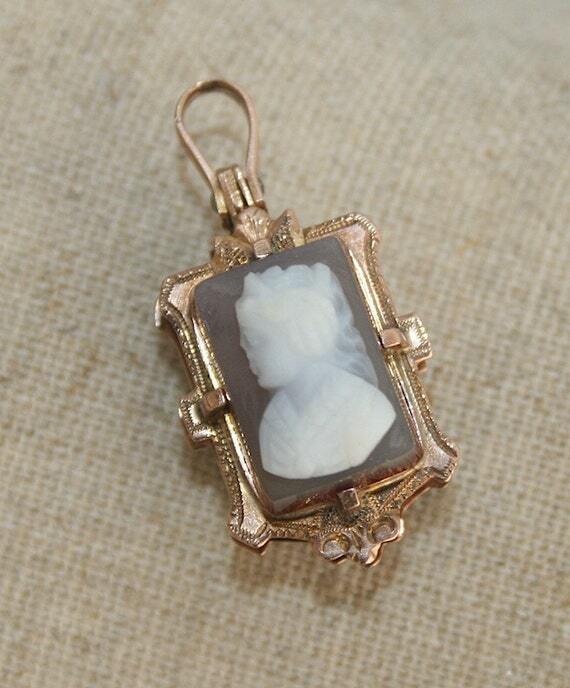 You can find many lockets with beautiful hand carved cameos, often portraits of the owner or a loved one. 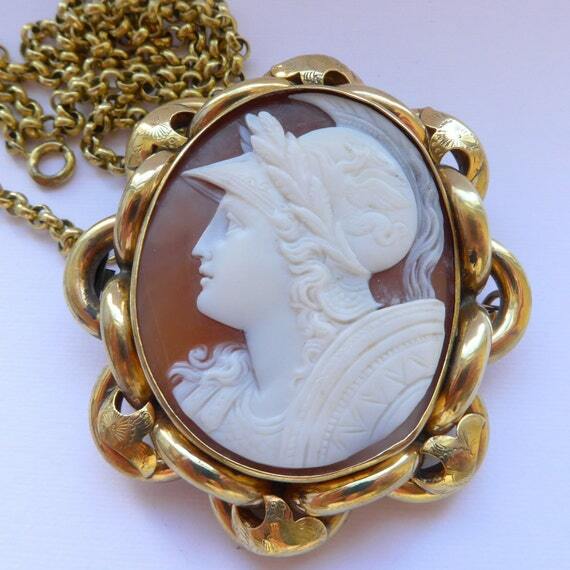 Cameos were carved into gemstones, and later into agate or shells. 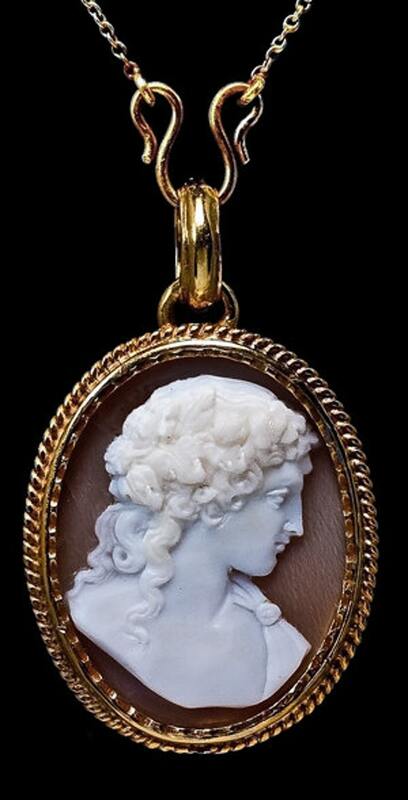 The top carving of a cameo is usually white, and the background pink, blue or black. 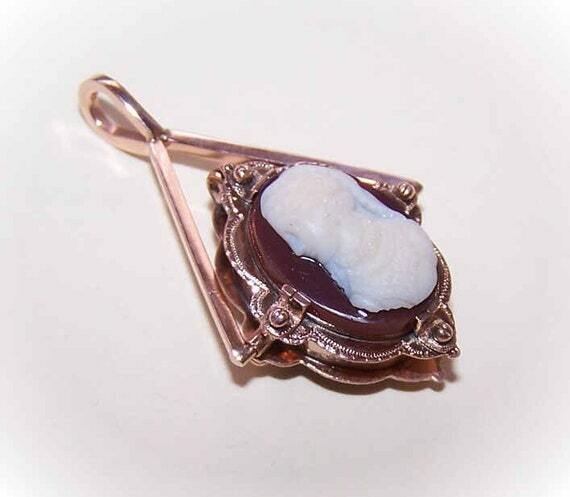 Cameos were another feature on Victorian mourning lockets although not on all of them. 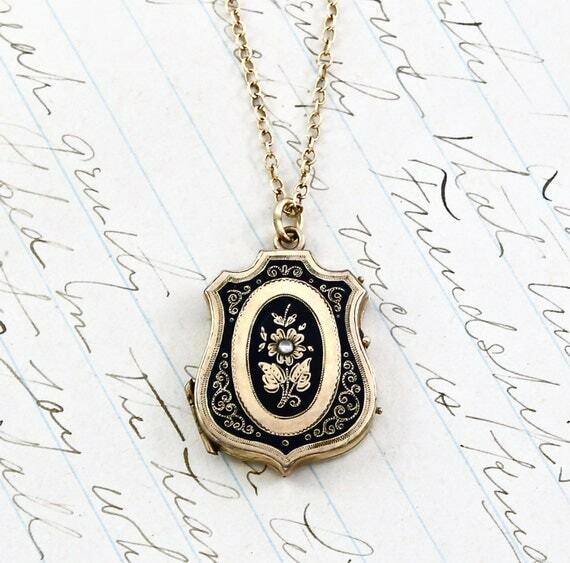 And sometimes the cameo on a mourning locket was black on black. 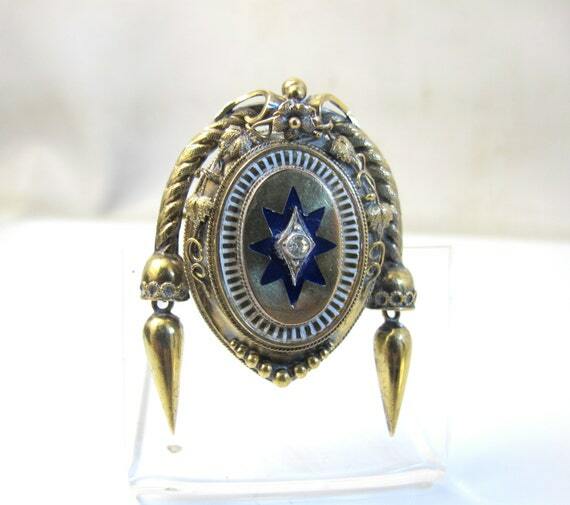 If you are looking for a good selection of antique Victorian lockets to shop for a gift, Ebay has an excellent selection. 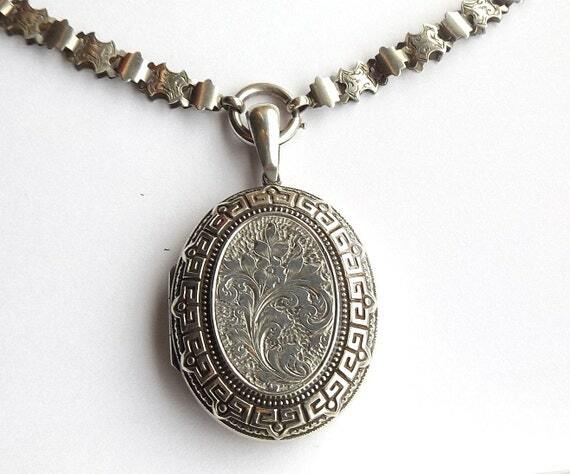 You can find many lovely authentic antique Victorian lockets, and also some excellent reproductions. 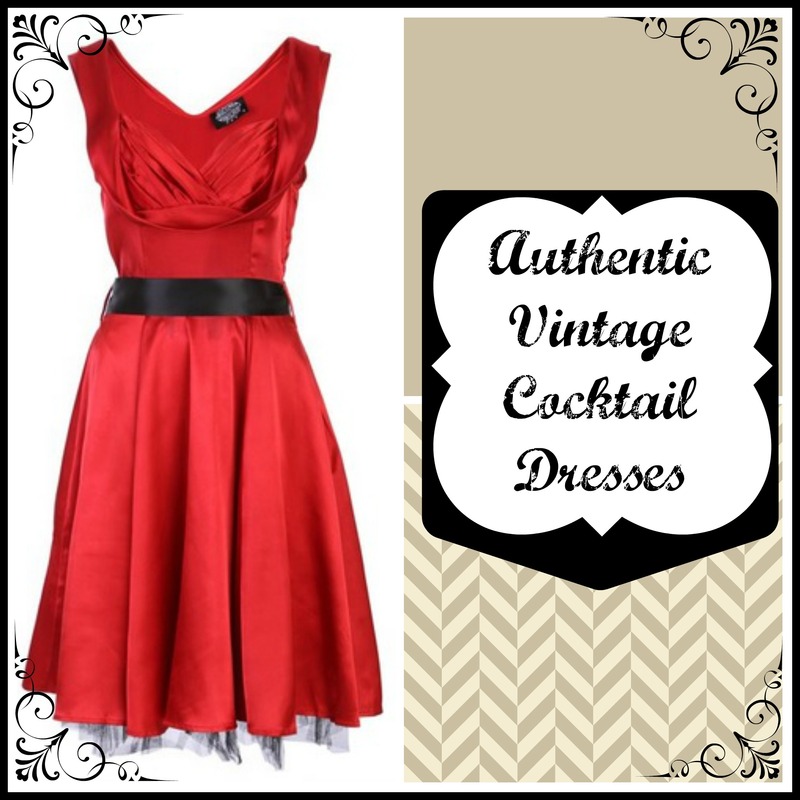 Authentic lockets allow you to wear the history of the piece, as well as knowing that your locket is one of a kind. 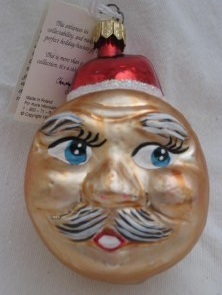 However, some reproductions are very inexpensive, when compared to an authentic locket. 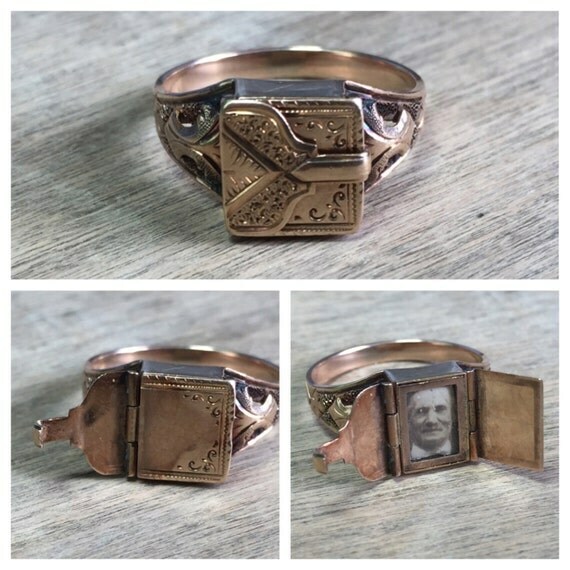 Unfortunately, most reproductions are made by machine, and therefore, many are made at one time, which means that you lose the unique quality of the jewelry. Since Victorian times, lockets have been given by someone to a person that they love, and they are usually carried close to the heart. 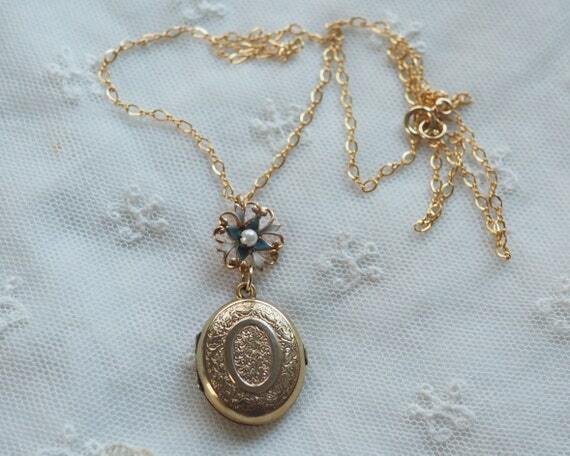 These antique Victorian lockets are a very romantic gift, but they are also a lovely gift to give to a child or sibling. 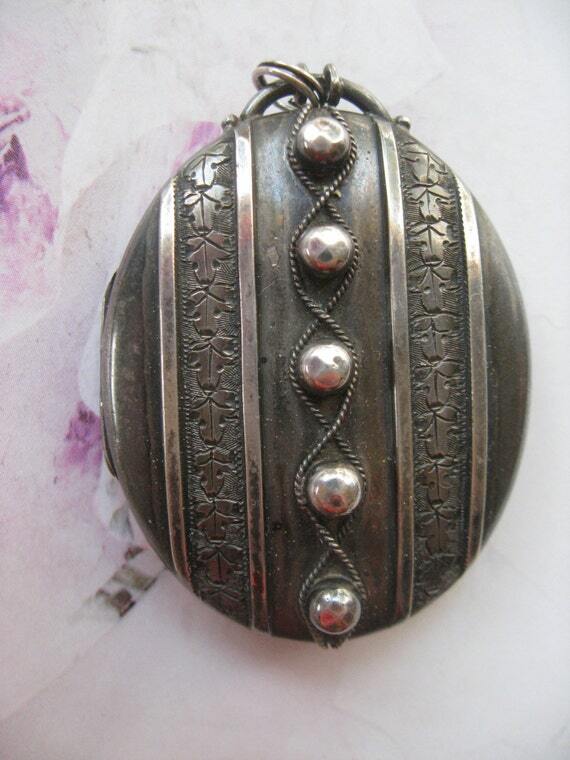 I have really enjoyed researching this article on antique Victorian lockets. 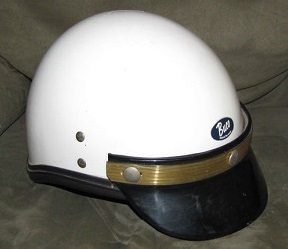 I hope you have enjoyed reading it.